Car audio from Solid Signal! Awesome! If your car’s over three years old, it’s time to upgrade the audio. For years (or perhaps decades) we saw nothing interesting in the world of car audio. Now we’re finally seeing changes that really mean something. You may never have thought of an aftermarket radio before, but the time is here. Like it or not, Bluetooth connectivity is really important in cars. You might talk less on the phone than you did a decade ago but you’re getting directions more than you ever did. Good Bluetooth connectivity is important. Older cars try to adapt to the new low power Bluetooth standards, but they generally don’t do a good job of it. An upgrade to your car’s audio system can fix that. Data shows that more and more people use voice assistants. This is important for drivers, since more people text than talk now. If you’re driving, it’s not safe to text unless you can dictate to Siri or Google. That’s why this sort of thing is just critical. Older car audio systems may not even have a way to trigger your voice assistant and if they do you may end up repeating yourself a lot. That means distracted driving and that’s dangerous. 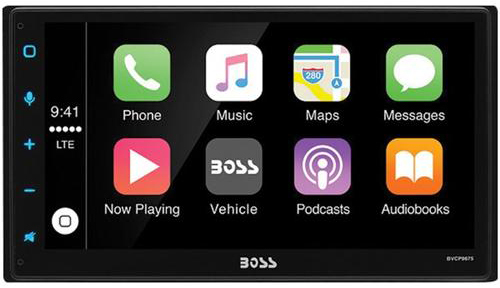 Newer car stereo systems can use Android Auto or Apple CarPlay to integrate tightly with your phone and give you that control you seek. CarPlay and Android Auto are both pretty new features and using them can make you feel like your whole car is brand new. They give you a big screen for navigation, tight audio with no skips or drops, and a suite of apps that let you do what you really want to in your car. The base audio systems in most cars have improved a lot in the last five years. Partially that’s due to a stronger economy where people are choosing better, more lavishly equipped cars, but it’s also due to software. Algorithms designed to help smartphones make the most of rice-grain-sized speakers can also make your car’s sound system sound better. Of course, you can go oldschool if you want and actually improve the speakers in the car, which is going to help a lot. If you’re a DIYer you’re probably a DIYer everywhere, including your car. You aren’t going to take your car to a skeevy-looking store on the wrong side of town. You don’t want to sit in a greasy waiting room. You’re going to do what you can, all by yourself. We get that. We’re here with trim kits, adapters, speakers and mounting accessories you’ll need. Why buy from a web site you’ve never heard of? You can get the things you need from Solid Signal! Solid Signal is your source for all sorts of electronics, and if you’re looking for something for your car, whether it’s audio, a backup camera, or anything else… start by shopping with us.